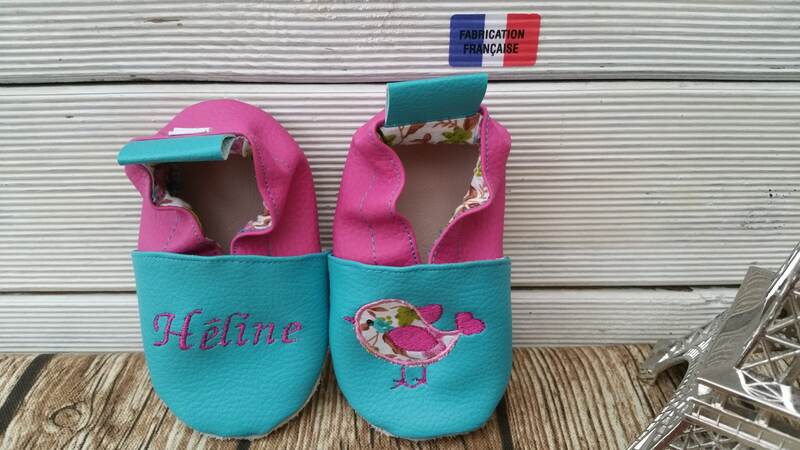 The lining is made of cotton. 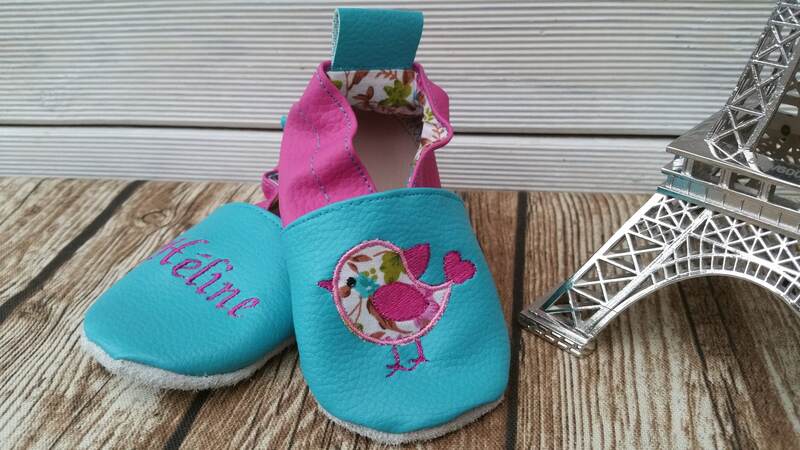 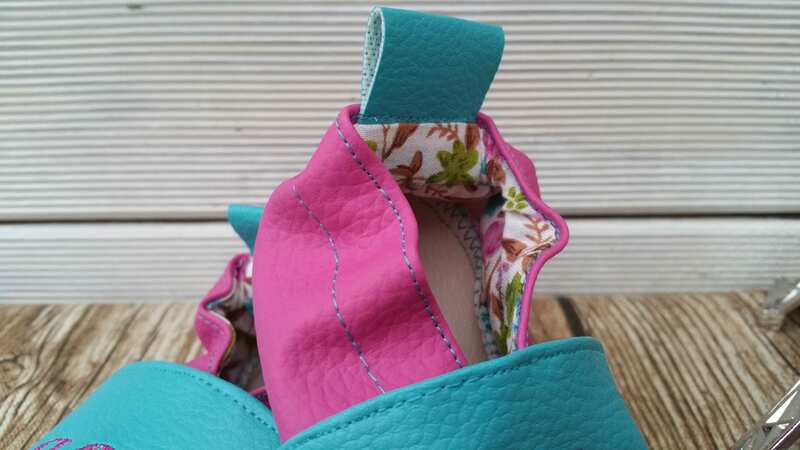 The pair shown here is made of pink faux leather supported on the back and turquoise on the front. 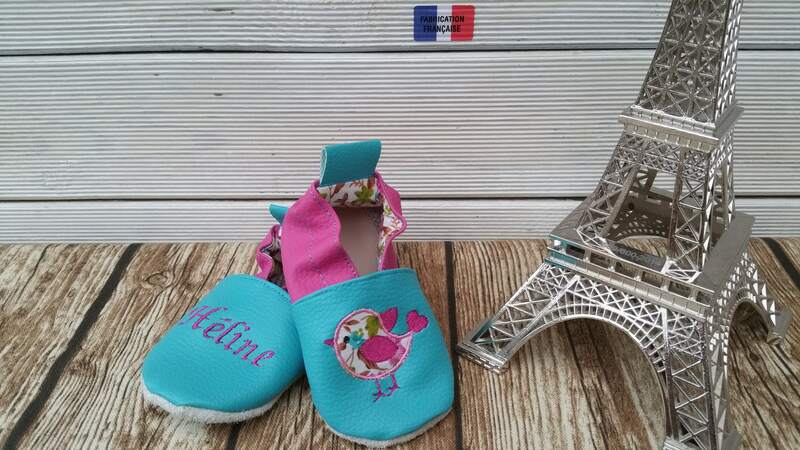 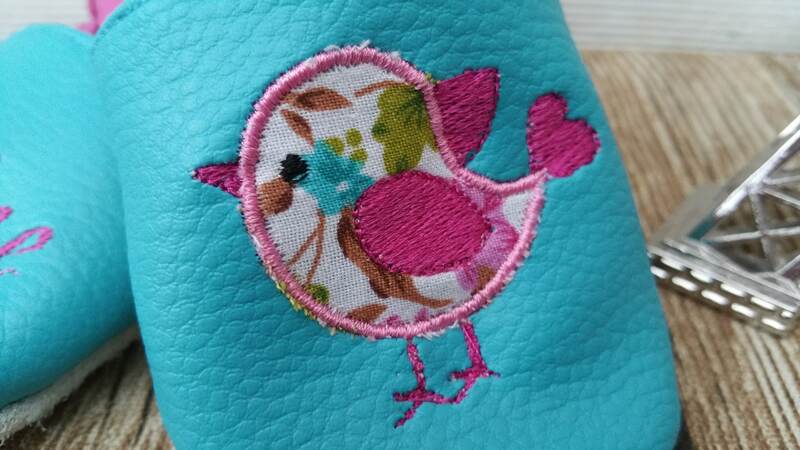 The embroidery is performed bird applique liberty.